PHILADELPHIA (WPVI) -- A record number of Philadelphia theatergoers want to be in the room where it happens. According to the Kimmel Center, new subscriptions rose 228% higher than previous years. There was a 19% increase in renewals of existing subscribers. A sneak peak at 12 blockbusters heading to the Kimmel Center. Plus, how you can snag tickets to "Hamilton" in Philly. The Kimmel Center says subscription packages are limited because most of the productions in the series are only one week engagements, leaving a maximum of approximately 18,000 seats available. 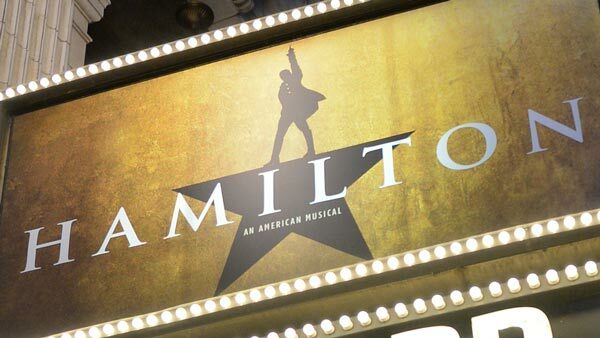 "Hamilton access motivates audiences to become season subscribers yet they will discover an entire season featuring 13 titles that boast a cumulative 31 Tony Award wins," Anne Ewers, President and CEO of the Kimmel Center for the Performing Arts, said in a statement. "The theatergoing experience for our subscribers is like no other- filled with year-round perks and a fantastic sense of community."